Ubuntu has gained a lot of popularity in last few years – and not just among the geeks but also among the common users. 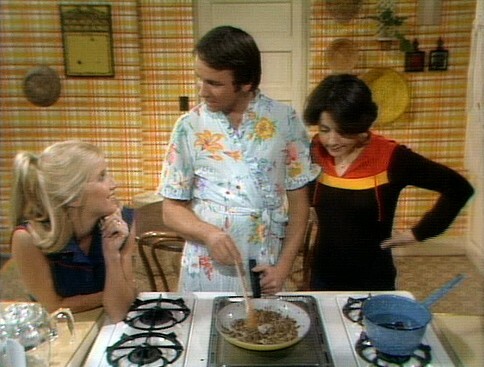 This post is all about the cooking applications available for Ubuntu or other GNU/Linux distributions (e.g ubuntu derivatives such as Linux Mint or RPM distributions such as Fedora) – because if cooking is your favorite hobby then you may need some apps for managing recipes (On Ubuntu). 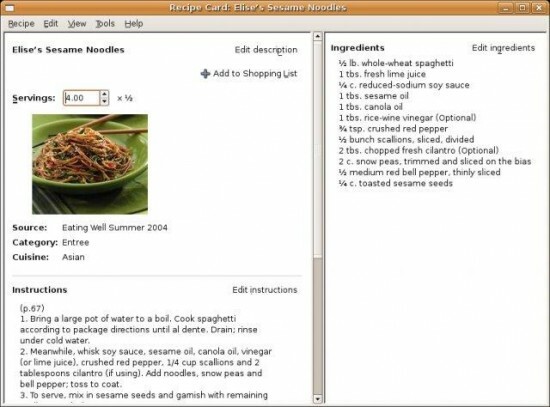 As a matter of fact, there are no such great application available for cooking recipes, in Ubuntu 12.04 (You know the reason very well, don’t you ?) but there are two applications that might be worth trying. Although, the project seems to be inactive for months (or years) but you can give it a try. 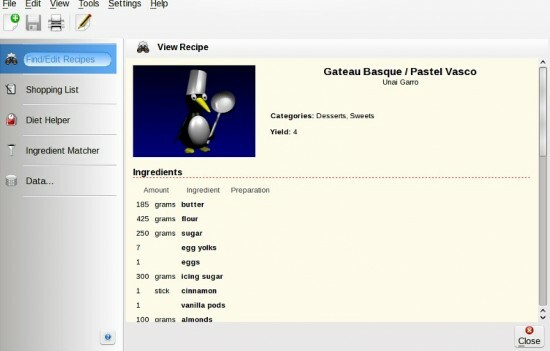 Krecipes is a KDE based application for managing recipes. It has lot of features such as recipes search, shopping list, import/export of recipes from other formats/databases, etc – and the UI is also very simple and easy to use. Gourmet Recipe Manager is another great recipe application – based on Python and GTK. It has all the cool features – that you expect from a recipe manager. Good to see such apps which provide info about non-technical things .